While prominent people from around the world have different views on the theory of the human evolution, positive work culture evolution is a much easier question to answer. We only have to ask ourselves, “How can we apply our acquired knowledge to create a better work environment?” This question has structured the growth of businesses for years and has lead to the development of business calculators to computers and finally it seems to artificial intelligence. As incredible as it might seem, the business world is finally starting to develop a system that can think like we do about problems and find solutions based on data or experience. Artificial intelligence has the potential to be used successfully in almost every department but today we wanted to focus on how artificial intelligence helps human resources transform your workforce. Artificial intelligence systems are immune to the general stereotyping and biased decision making that are a part of human nature. HR members, who should, in theory, always act unbiasedly are ultimately just as susceptible to human discrimination as the rest of us. Artificial intelligence helps human resources process initial recruitment screenings, performance appraisals, job evaluations and all other kinds of factual information and insights about a person based strictly on real data rather than human perspectives and potential prejudice. This straightforward and unbiased analysis allows organizations to develop and maintain a more effective employee relationship based on actual work performance, policies, and conduct. Recruiters often need hours of tireless effort to pick the right talent for a position. AI powered systems can quickly and simultaneously inspect thousands of candidate profile and organize their abilities and skills with those that are in demand at the organization. This fast and effective method makes it easy to provide the HR team with a set of qualified candidates right away, simplifying and speeding up the entire hiring process. A primary responsibility of the HR team is to ensure that the talent within an organization is ready to handle new and upcoming industry demands. This means that HR needs to understand and assess employee’s skills and help them practice continuous learning. AI enabled learning programs can intuitively identify the performance strengths of an employee and can recommend the appropriate sessions or lessons he or she would need to ensure continual improvement and competency moving forward. Manual assessments and learning initiatives are driven by an HR team may not properly capture or assess an employee’s talents and interests. A data-driven learning mechanism enabled by technologies like AR or VR and powered by AI would help take this burden off of the HR team and would help employees discover their own training interests and schedules. External communication with Artificial intelligence helps human resources have almost endless possibilities. It could be anything from smart conversational bots on the company’s corporate website that provide information to automatic updates informing potential candidates of their application status. AI driven bots provide real-time updates, regardless of business hours, to customers, coworkers, potential employees and anyone looking for simple and straightforward information. When employees grow at an exponential rate it becomes harder and harder for HR to properly analyze and monitor the dynamics of an organization. Artificial intelligence helps human resources become much more automated. Making complicated and overloaded business processes much easier. With machine learning, complex compliance concerns can be simplified, organized and easily managed, allowing issues to be resolved fast and much more efficiently. 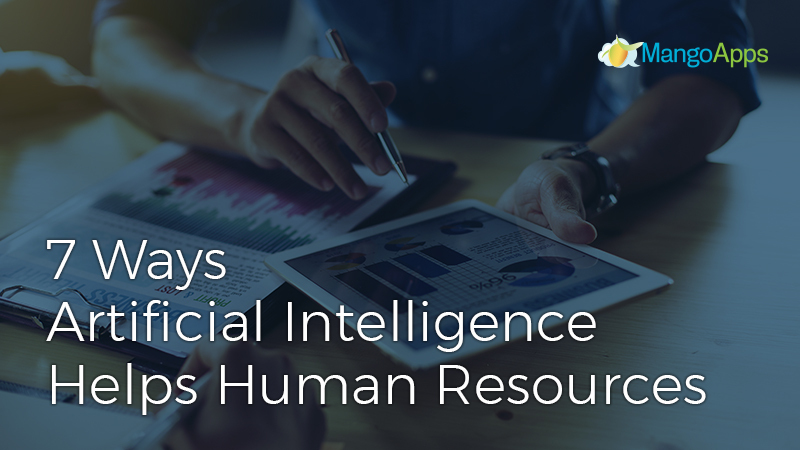 Repetitive HR tasks like salary, bill settlements, work reports, leave management and a lot more can all be easily automated with cognitive intelligence. Trusting these tasks to an AI system removes the risk of human forgetfulness or error, ensuring they will always be processed correctly and on time. Intelligent conversational bots can also help employees understand policies, find information and fill out reports. While companies usually like to collect as much data about their customers as possible, they often don’t think to analyze their employees. AI enabled analytics who be an easy and fairly unobtrusive way to collect valuable information about employee characteristics, styles, and overall behavior. This information would also benefit larger HR functions like employee ratings, appraisals, performance evaluations, compliances, and rewards. AI systems can even help strengthen employee relationships and retain talent by detect signs of employee discomfort or irritation that may not be vocalize or that employees may not feel comfortable bringing to HR. This article has only scratched the surface of how artificial intelligence helps Human Resources. Incorporating AI is the perfect way to implement a future-oriented, disciplined and unbiased decision model. As businesses begin to incorporate AI as a tool to strengthen their own human ability and ingenuity they will gain a stronger understanding of their workforce and help them reach their full potential. 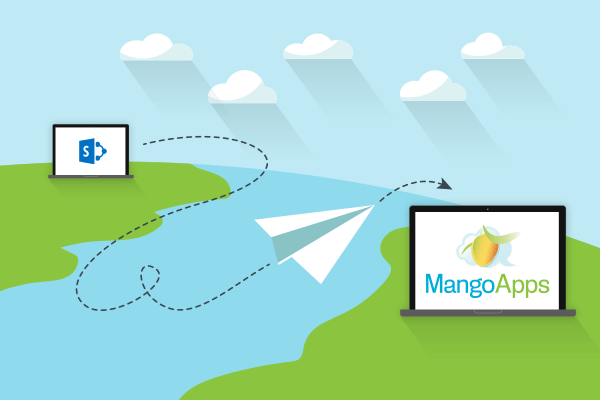 To learn more about improving communication, collaboration, and ingenuity in your business schedule a demo with MangoApps today.